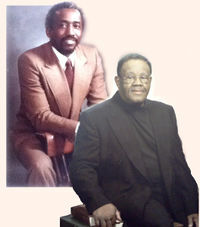 John Allen, Jr. and Robert E. Leslie, Sr. The founders of NewFreedom Theatre. New Freedom Theatre is celebrating 50 years of excellence in arts education, professional productions and community engagement. We continued that tradition with the introduction of Guest Artistic Directors in 2014. Ozzie Jones served in that position for one year. We then appointed Rajendra Ramoon Marahaj as Guest Artistic Director in 2015 and Artistic Director in 2016. Today, New Freedom celebrates its 50th anniversary with a renovated facility, Barrymore Award winning programs and Barrymore Nominated productions. This page was last edited on 11 January 2017, at 00:43.